The iPhone 5 was released a few weeks ago and has really won over the minds of millions of people, outselling the previous iPhone and becoming one of the bestselling phones, if not the bestselling phone, of all time. 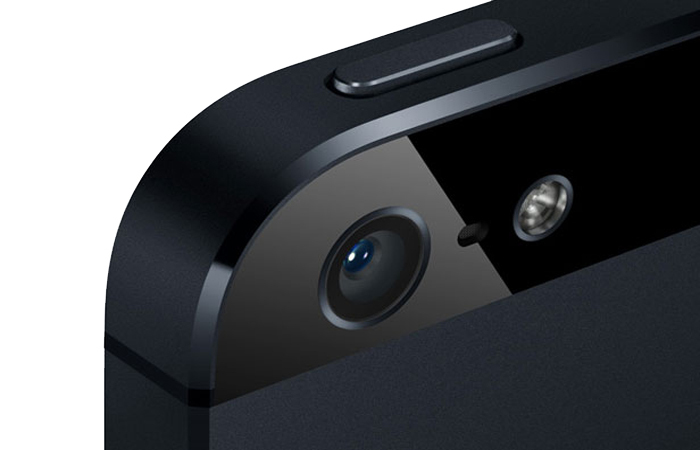 We already knew this was going to happen though, with the sheer amount of iPhone 5 rumours. Huge optimism was in the air when the iPhone 5 was about to be released, but it came with a few problems and there are more cropping up as we’ve kept an eye on Apple’s smartphone. This is why we’ve hung back and done this review rather late, to see all the problems and issues the iPhone 5 has and to detail you. The iPhone 5 is a beautiful device, some even put the phone in the same category is jewellery in terms of looks. Sir Jonathan Ive and all of the team designing the iPhone 5 have done a superb job with the new phone, and as we expected it has come as a very industrial and glamorous product. Several changes have occurred on the iPhone 5 design – one is obviously the bigger screen, instead of 3.5-inches, which was quite petite now that flagship phones are looking at the 5-inch range, Apple re-designed the iPhone 5 to 4-inches. It isn’t the biggest change they could have made, and they tried to bolster their idea by saying that iPhone 5 is the perfect size for your thumb, forgetting that almost everyone has a different thumb size. Many are happy with 5-inch screens and theGalaxy Note 2is a prime example of people being happy with larger screens. The colours are now two tones, either in black & slate or white & silver. Personally, we didn’t have any real problems with the one tone that they have been using since the original iPhone was released, but it may mark the increase in size. Apple has added a new Lighting USB cable that is faster and smaller and have took away the old connector, adding a smaller 35-pin connector. The headphone jack has been move to the bottom. The front-facing camera has been moved to the middle of the screen. Since the product has launched we’ve had notices that it can easily be scratched and Apple have come back and said that is normal. Not if you want to keep your phone clean it isn’t, we would suggest a phone cover if you are imperative about keeping your phone scratch free. Since Apple is now the company with the money, it must be ruthlessly attacked when it does something wrong, and iOS6 has a lot that can be picked off by Android lovers and reviewers. The one feature iOS6 lacks is real innovation, Apple just seem adamant that static screens and small buttons are what we want, when widgets, live-tiles and different sized buttons are around on other operating systems. What Apple truly lacks is the position to change the OS, as all these ideas come from rivals. What we want is a live design on iOS6, we want something that is customisable, new and can compete with Windows 8 and Android 4.1 – plenty of people marvel at Apple’s compelling and stale operating system, but we just see it as a lack of solid ideas. One positive of Apple’s operating system is it is fast and hardly ever breaks on you, unlike Android and Windows that can fall over with too much usage. We don’t understand why Apple won’t add widgets onto the home-screen, even if it is a bit tacky in some cases; it is the user’s choice. 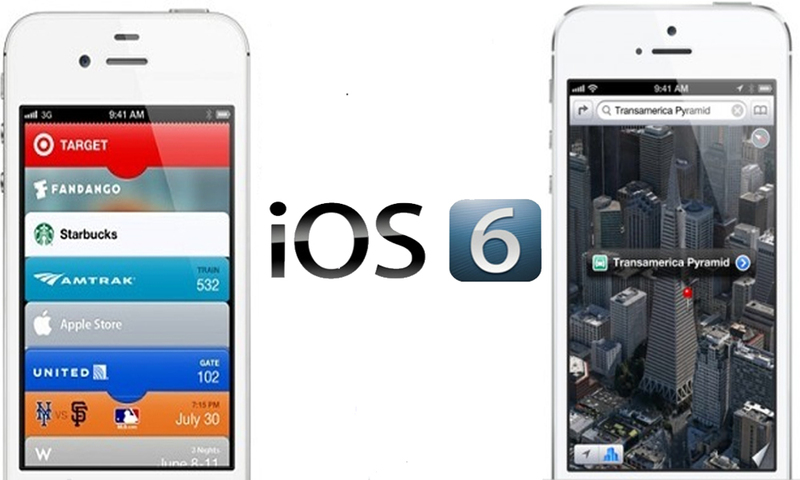 Two new apps were added to iOS6 and shown off at Apple events; these were Apple Maps and Passbook. Now, one of these has been in the news none stop, due to nearly everyone finding something hilarious to write about, that is maps. Apple decided, with their already mediocre record for making applications, to go ahead and make their own Apple Maps, instead of just working with the perfectly fine Google Maps API. This did hurt Google, as a lot of their traffic comes from the iPhone. The problem for Apple was they weren’t ready to compete against Google, quite like Siri wasn’t fully optimised or ready on the iPhone 4S. Passbook is a nice app that stores all your store cards, coupons and tickets – it is a pretty neat app, but we cannot help but think NFC would’ve been a killer when working with the app. Near field communication could have truly been utilised on Passbook and it would’ve been a great success. To say the iSight camera is innovative is already too much, we would say it is just a small step in the right direction for Apple, although they still have a long way before the phone camera will be anywhere near an actually camera. What Apple are trying to do with the iPhone 5 camera, as far as we can see, is to make it as simple as possible, so that third party clients will utilise apps for the service. This does go against Apple’s general consensus that third parties cannot do it as well as Apple, but as far as we can see they are offering minimal editing and shooting features. There are two good new features, low light and panorama. Low light allows you to take pictures in very low light and get a good colour on it, but you give away a few pixels on the image. Panorama is one of those apps that really works and we want to know how Apple has created the panorama to be so responsive and so clever. A sapphire lens was a curious choice for Apple, as we already know sapphire can reflect the sun and make it distorted. Multiple users have said that the sun is purple and shades that are too light give off a purple haze. This is something we just have to live with; as Apple seem adamant this is normal. It is surprising to see the battery life on iPhone 5 not be really upgraded, considering all the new features that have been added. It has been pushed a little bit and the CPU is now better at keeping battery life, but many say that they are only getting 8 hours on their iPhone 5. This is pretty bad, considering that people want a phone that is capable of more than half-a-day work – the S3, the competitor, does great at keeping battery life for a full day, despite the good amount of features on that smartphone. Probably going in to the hundred millions of sales before too long, the iPhone 5 may be the pinnacle of Apple’s success in terms of sales, as we cannot see them innovating fast enough to keep greedy consumers happy. Simply, in the next few generations of the iPhone, people are going to question how good Apple is. The iPhone 5 isn’t really revolutionary and in some ways we found it very stale and boring. The idea that keeping an operating system the same as it was a few generations back and only adding different apps and small features won’t cut it. We want live-tiles, widgets and beautiful buttons, oh, and to customise, because jailbreaking voids our warranty. Against the Samsung Galaxy S3, we don’t see the iPhone 5 as cutting edge; we just see it as the phone everyone will want because it is an Apple product. All previous Apple users will probably get it on the basis that their iTunes and Apps are stored and millions will get it simply because it is called an iPhone. We doubt many are buying it because of Apple Maps, or Passbook, or iOS6 for that matter. They are buying it because it is the latest edition of the iPhone and if you don’t have it, well, you just aren’t that cool.